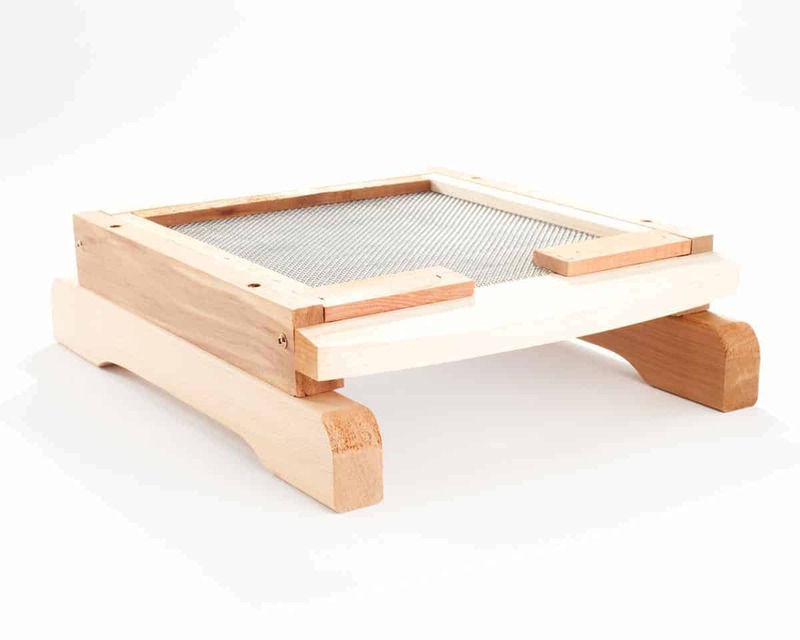 In looking at the the Langstroth beehive, we see a solution that has served the beekeeper well for a hundreds of years. 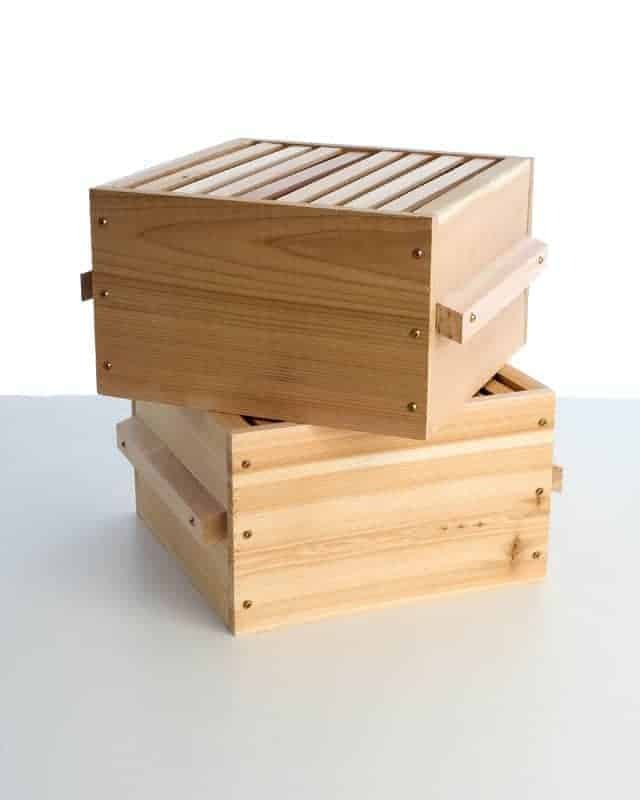 The design delivers many benefits for the beekeeper and the Langstroth has proven itself a very successful choice , which means bees must generally find it agreeable too! However, it is not as directly focused on the needs of bees as the Warre hive. 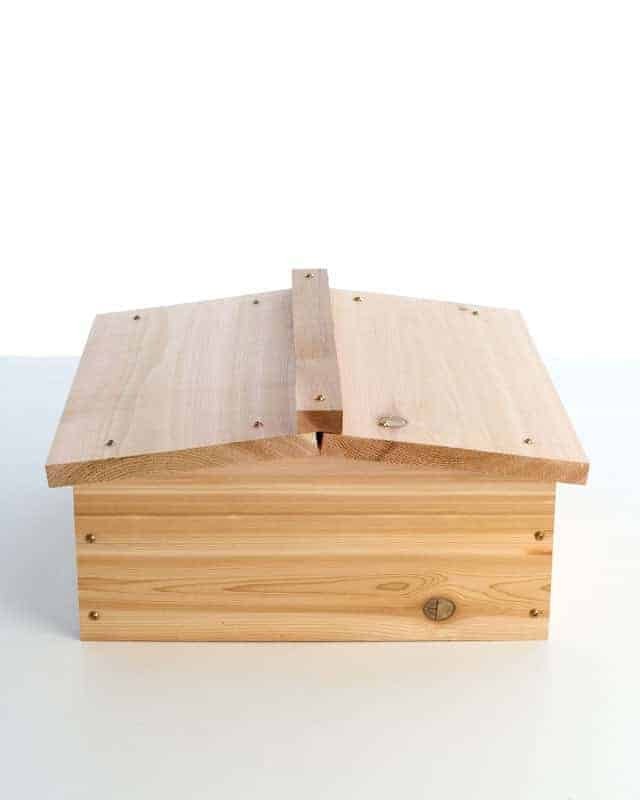 The Warre is a somewhat less common type of beehive but has a number of significant advantages. Many of these are based on a core design principle its French designer, Abbe Emile Warre, had in mind, a design based on the locations in which bees lay their little hats naturally in the wild. An important note about this lesson. This lesson primarily describes the “what”, namely the design principles and components of the Warre hive. The “how” and “why” of the Warre will be covered in separate lesson. A reflection and respect for the natural world manifests itself in many ways through the Warre design. The physical dimensions of the Ware box are similar to that of a hollow in a tree, a location that wild bees often select. The only slight comprise is that while an exact cavity would reflect the circular shape of the tree trunk, this is difficult to manufacturer consistently and so square boxes are used in the Warre. Warre beehives are foundationless. They use bars that lay across the top of each box, from which bees will draw their own comb. By the way, while it is perfectly possible to use foundationless frames in the Langstroth – and quite common – it wasn’t specifically designed with that approach in mind, unlike the Warre. The foundationless approach means that the Warre is a common choice for those who favor natural beekeeping, where the bees draw their own comb entirely on their own. Over time this means that the bees raise brood at the bottom of each hanging comb, with honey stored above the brood. At the onset of winter the winter cluster starts consuming honey, working from the bottom up. If the cluster reaches the top of the honey store before the end of winter then they run the risk of starvation. The Warre design looks to closely mirror and support these natural behaviors of bees. Initially, the box is merely an empty shell with top bars resting along the top of the box. There are 8 such bars, each resting in what Warre called the “rebate”. Bees then start creating (drawing) comb from the bars, down into the box. Initially they create brood and then, true to what they do in nature, they use the lower comb for brood and start using the upper part of the comb for honey. When the comb reaches almost down to the top bars of the box below, the bees will leave space – bee space. Aside from offering the bees all the benefits of bee space, it also means that – conveniently for the beekeeper – each box is a separate unit, which can be managed and harvested independently. The lack of foundation means that the bees dictate the size of the cells they create on the comb. This is a benefit of foundationless beekeeping in general, rather than the Warre specifically, but is certainly an advantage. Why is the Warre hive considered low maintenance? The entire philosophy behind the Warre is based on reflecting nature and the beekeeper leaving the bees alone for as long as possible. The Warre has three main sections. The base of the Warre is, like the rest of the design, simple and to the point. The entrance is considerably smaller than that of a Langstroth, which means there is no requirement for an entrance reducer (although the smaller size does mean fewer bees can come and go at the same time). 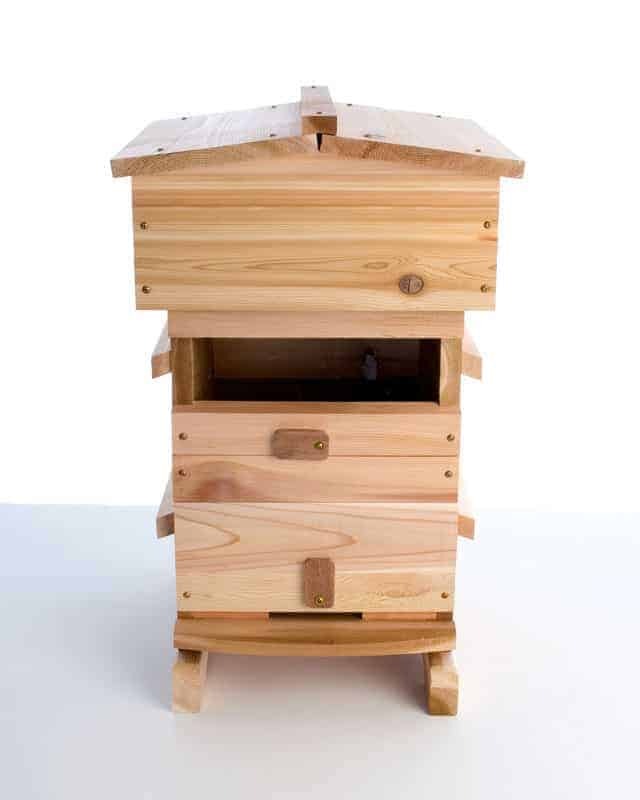 A bottom board is part of the base and Warre hives can be purchased with optional legs, to raise it off the ground. Warre boxes are considerably smaller than those of a Langstroth and are square. They typically measure 12″ x 12″, which is a closer approximation to the locations that wild bees naturally choose, such as in a hollow in a tree. Although there is some visual similarity with Langstroth boxes, the smaller dimensions and the inclusion of external handles make them quite distinctive. Some Warre hives feature a useful viewing window on the boxes. The relatively small size of the Warre box means that the winter cluster is closer to the walls as it works its way through winter. This keeps the walls warmer, which in turn helps reduce condensation, at least as compared to the Langstroth. However, that is not to say that a build-up of moisture in a Warre is not a significant concern, as we will see below. Extending a Warre with a new box is done in a manner opposite to that of a Langstroth. Whereas the latter involves placing a new box on top of the existing boxes, with the Warre the new box is placed underneath the existing boxes. This makes for a little more effort to add a new box, but is a relatively uncommon event, as compared to regular hive inspections. This video shows the addition of a new box to a Warre hive. To aid in insulation and moisture control, the roof of the Warre hive is made from thicker wood than the roofs of Langstroth hives. Beneath the roof is a box filled with a “quilt” or wood shavings and lined with cotton cloth. This is called, reasonably enough. the quilt box. The roof also features a gap through which wind air can pass, further helping with ventilation. The simplicity of the Warre means it has very few options. This is not a bad thing! Examples include legs on which the hive sits, material for the quilt roof and so on. But, for the most part, the Warre is self-contained. One useful tool, as opposed to an option for the hive itself, is a Warre Spacing Tool. You will remember the concept of bee space. It is important that the bars in the Warre are spaced to respect bee space. The spacing tool is a simple device allowing you to ensure the bars are spaced correctly in the box. Low maintenance: The design and manner in which bees use the space, almost demands that the beekeeper stay out of the hive! You haven’t mentioned how you extract the honey from a Warre hive,is it the same as a conventional hive? You can press the honney comb, but that destroy the comb, or you must make a wire basket to can use the honney extractor, if you want to save the comb . It is a beautiful hive. But I don’t understand why it would reduce the need for hive inspections. Bees can get varroa, nosema and foul brood in any type pf hive. How would this design change the etiology of a parasite or pathogen? I think the concept is that with a smaller cavity, close to a square in shape, the bees can more easily keep beetles and other pests at bay. If the hive is healthier the bees should be more resistant to infections overall. That is why you see some octagonal warre hives – the corners on the larger rectangular longstroth are thought to be where pests are able to gain a foothold in the larger boxes.